Season the quail with salt and pepper and set aside while you prepare the dressing. In a medium bowl, combine the cornbread, andouille, green onions and eggs and mix well with your hands. Divide this stuffing into four portions and stuff each portion into a quail. 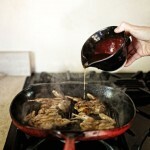 Brush the quail with salt and pepper and set aside while you preheat a grill to medium heat or build a nice fire. Grill the quail breast side down until nicely browned, about 10 minutes, then turn the quail over. Cover the grill and cook for another 10 minutes or until the stuffing is very hot and the quail are done. 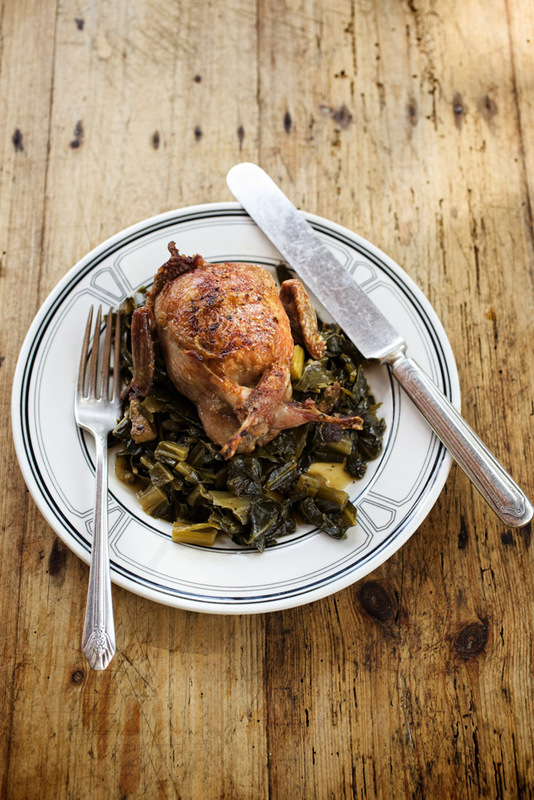 Serve with collard or mustard greens that have been cooked with bacon and hot pepper.